Johnathan Skardon is serial entrepreneur who has started five companies since 1989. His first Internet foray was building gutterguard.com, an online distributor of gutter guards for the home improvement industry in 1997. As a homeowner, avid do-it-yourselfer, and business owner, Skardon has spent years developing innovative products and effective solutions for consumers and businesses. 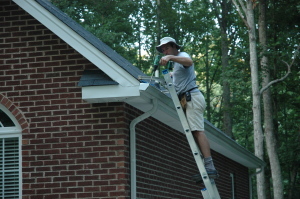 Skardon is uniquely qualified on this topic, after spending years “in the gutter,” so-to-speak, and is looking forward to helping consumers and property owners solve their gutter-related problems. GutterTalk is a forum for homeowners, commercial property owners, and service providers to talk about all things related to gutters, specifically gutter guards.